There’s nothing quite like going to the movies. With state-of-the-art visuals, surround sound, stadium seating and more food options than basic popcorn and soda, the movie-going experience is better than ever (Just stay off those damn distracting phones!). With 3D becoming more effective and widespread since its groundbreaking use in James Cameron’s 2009 blockbuster, Avatar, you can feel more a part of the movie too. But what if you want an even more immersive theater-going experience that surrounds you and stimulates every one of your senses? Welcome to the world of cinema 4D! 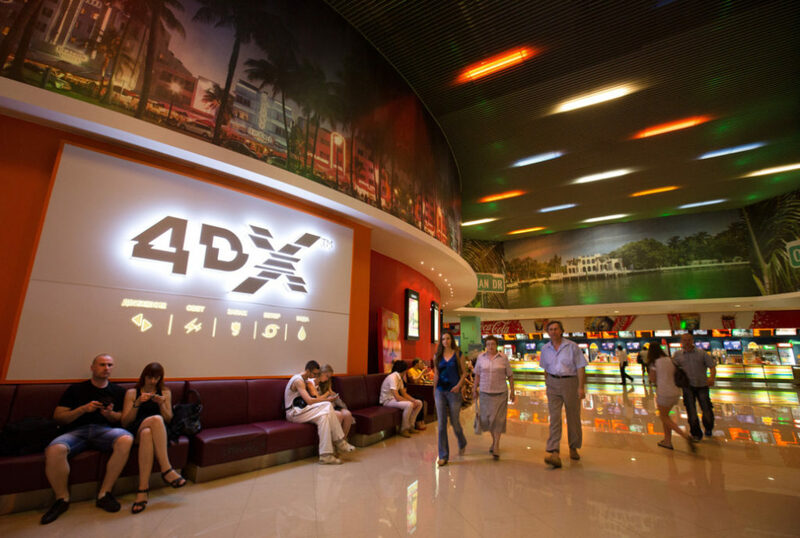 Developed and owned by the South Korean company, CJ 4DPLEX, 4DX all but puts you right in the movie, by adding to the 3D experience with a variety of theatrical effects, from seats that shake and roll, to blasts of cold air, water and fog, to flashes of light, all working in perfect conjunction with the events happening on the screen. 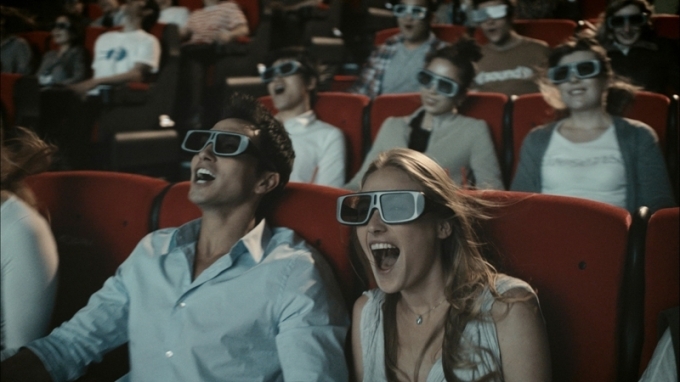 While 4D has been utilized in the past at theme parks like Six Flags, Disney and, most notably, Universal Studios with their Terminator 2 3D: Battle Across Time and Shrek 4-D, those were short films made specifically for the park and its patrons. 4DX is bringing their magic to full-length theatrical features, often working directly with the studios themselves, to synchronize their effects over the course of often two-plus hours. 4DX first saw the darkness of a theater in Seoul, South Korea in 2009 with the remake of Journey to the Center of the Earth, starring Brendan Fraser. It’s success, followed by that the following year of the 4D presentation of Avatar, allowed expansion throughout South Korea and beyond, including Mexico City in 2011, with Pirates of the Caribbean: On Stranger Tides (the first release in North America and the Western Hemisphere), and in 2012 in Sao Paulo, Brazil, with Prometheus and Ice Age: Continental Drift, and China with Titanic 3D. After further expansion throughout Asia, Europe and South America, 4DX finally came to the United States in 2014, via theater chain Regal Entertainment Group, on June 26, at the Regal Cinemas L.A. Live Stadium 14 with the release of Transformers: Age of Extinction. Following Chicago in 2015, 4DX made its debut in New York City, on March 25th of this year, at the Regal Union Square Stadium, with Batman v Superman, followed by the Regal E-Walk in Times Square on April 28th. It was at these theaters where the Gore 4 got to experience 4DX first-hand in all it’s visual, tactile and odoriffic splendor. 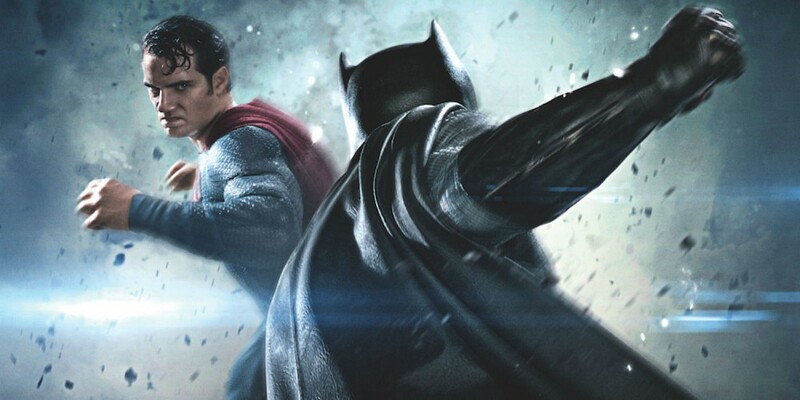 With Batman v Superman, you were able to feel every punch, with slight pokes in the back of the seat, and the rain with mists of water dropping from above. When we went underwater, where Aquaman makes his first appearance, you smelled the ocean with scents that emanated from, somewhere. As battles and explosions brought destruction and rubble, smoke wafted from the front of the theater. 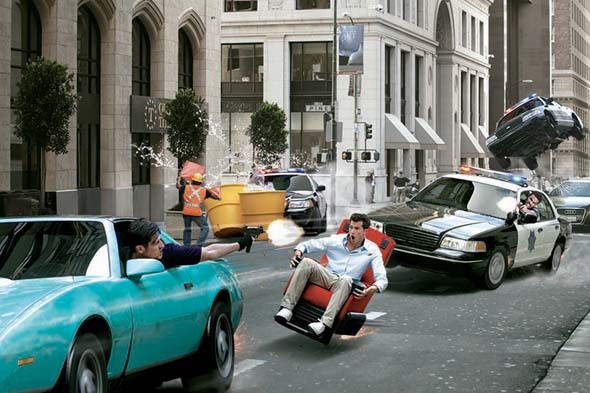 Perhaps most effective was the movement of the seats during vehicular chases, as you felt every turn, drop and crash. In X-Men: Apocalypse, during the opening credits as we travel through the ages, it felt as if you were floating along with the images on the screen. When Wolverine sliced and diced his way through the bad guys, you suffered every excruciating cut – no, wait, that didn’t happen – whewww. In Independence Day: Resurgence, effects ran the gamut from lights flashing in the theater as the press flashed their cameras to seats moving during the intense aerial battles to getting splashed with a little H2O where appropriate. And it’s all done in complete synchronicity with the events on the screen. With well over 200 theaters in 37 countries so far, and several hundred more theaters planned by the end of next year, 4DX looks like it’s here to stay. It should be noted that it will run you a few extra bucks, although it might even out as you may want to forgo the theater snacks as it can be tough to eat and drink (and text – yay!) at times while your seats are shaking. In fact, for those with queasy food receptacles, you may want to skip eating beforehand, and wait till after you stumble out of the theater. So, get off your couch, find a 4DX near you, and hold onto your seats, and your popcorn and soda if you just can’t resist, and enjoy the ambience and atmosphere of the latest in movie-going theatrics. With this 4D experience, I hear echoes from the 1950’s and early 60’s with the gimmicks that William Castle used to execute to bring the movie-goers into theaters. Only now it’s a more sophisticated and much more expensive venture, not only for the company owners, but also for us – the audience! It’s certainly a cool-sounding experience, but for an average family to see a movie like this, they’d have to decide between a Disney vacation or an evening at the movies. Believe me, I understand why the film industry is coming up with all sorts of expensive ways to keep people going to theaters to see movies, with all the technological improvements with entertainment in our own homes, but to me, there is still nothing to compare to simply going to the theater to see a movie. There’s still a magic to it that sitting in your home and watching just doesn’t have, no matter what new and expensive tech you might have. Yes, this 4D experience sounds cool, and I’d like to try it, but it’s not something that one can do all too often (like a Disney vacation), and how would film companies make their profits THAT way? William Castle never charged more to see his movies with all his gizmos and wizgigs. It was just plain fun. Just call me old fashioned, I guess. While I agree that the 4D experience isn’t something you’d necessarily want to try for every big budget release that employs it, it is cool to check out on occasion. And no, it doesn’t cost nearly as much as a Disney vacation (it’s just a few dollars more than a 3D ticket), and it’s still cheaper that what you’d pay to attend most major sports events or concerts. But for a lot of movies, just give me a nice, big theater screen, a bucket of popcorn and a good size soda and I’m happy (as long as there are no texters within eye range). Agreed and agreed. 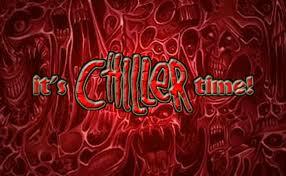 Especially about the texters!!! Something cool to mention in conjunction with this article — At the very dawn of “moving pictures”, H.G. Wells drew up plans to create a theater that would have moving seats, smoke effects, lighting effects and sound effects for the audience to experience the time traveling effects for his story The Time Machine. The full fourth-dimension experience with now-modern 4D effects! It took a hundred years for his entertainment vision to be realized. A man ahead of his time for sure. Very interesting – before Castle, before Cameron, there was H.G. Wells. Not only was he a visionary with regards to his written works, like The Time Machine, The Island of Dr. Moreau, The Invisible Man and War of the Worlds, which still continue to being remade in one form or another, he was also progressive in his ideas, and had the foresight to understand the issues we still have today with the widening gap between the rich and the poor, civil rights, and even man’s increasing encroachment of our wild and natural spaces. We need more voices like his today, who look ahead, and not try to set us backwards.